The 1990s and early 2000s were considered the golden age of video gaming. It was when games consoles had reached the mainstream, proliferating family homes in all four corners of the world. Even parents were hooked on these consoles, playing with their children on a regular basis; some of whom were reliving their childhood memories playing in video game arcades in the 1980s. An immense sense of nostalgia exists when it comes to playing old-school video games. It takes gamers back to a time when there wasn’t a cheat guide available to read online or strategy books to take advantage of programming flaws in-game. Yes, admittedly, retro video games don’t have the high-definition graphics and audio that today’s titles offer, but what they lack in bells and whistles, they more than make up for in engaging simplicity. You might only have a few buttons to press on your controller and just a few moves you can make, but that’s part of what makes retro games endearing — you can pick them up and start playing from the word go. Nevertheless, some retro games still offer a real challenge when it comes to gameplay. There was a phrase that used to do the rounds of video gamers back in the day, labeling a game “Nintendo hard” if it felt nigh-on impossible to complete. That’s another significant part of its appeal. The games were hard nuts to crack. You wouldn’t buy the game in the morning and play it for 10 hours straight through to completion. You’d have to spend days, sometimes weeks, to master levels until you’d make the breakthrough. The lack of opportunities to save games as you got through checkpoints and completed rock-solid missions also meant that one hit or shot too many would see you thrown right back to where you started — infuriating, but endearing in equal measure. It’s also worth bearing in mind that retro games are now much cheaper than they were 20-25 years ago. Home consoles weren’t cheap by any stretch of the imagination. It was a real luxury for households to have a Nintendo or Sega console to share. 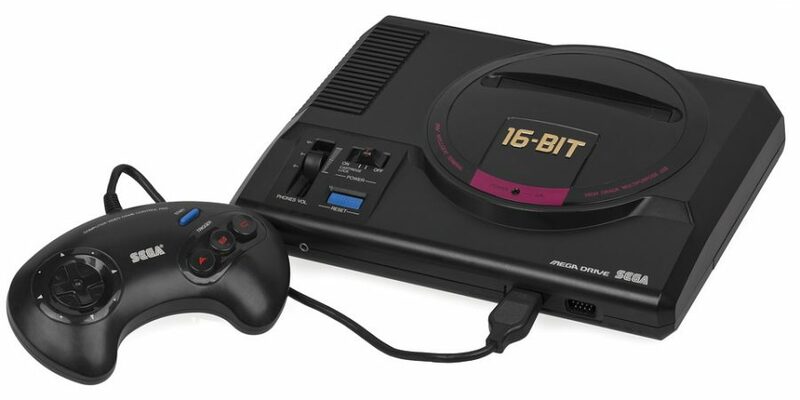 Nowadays, you can pick up a Nintendo Entertainment System (NES) or a Sega Mega Drive for almost pennies and take an inexpensive trip back down memory lane. In fact, it’s even possible to find PC versions of retro video games online via emulators that can port the action to your desktop monitor or your smartphone. The case for retro gaming even exists in one of the world’s biggest gaming playgrounds, Las Vegas. Although there are quite literally hundreds if not thousands of state-of-the-art slots with high-definition visuals and audio, the demand for classic Vegas-style titles remains high. When it comes to the latest video slots available on the casino floors or online, there’s no doubt that they can confuse and bamboozle many of the older generation of slot players. Some people just want to be able to push a button or pull a lever and let the machine do its thing, rather than get involved with in-game bonus rounds and pick-me-style, on-screen features. For all the love and hysteria surrounding some of these long-standing, best-loved video game franchises, there is one negative regarding the popularity of old-school video gaming. The clamor for nostalgia means the video gaming industry is often hamstrung by the long-standing franchises, which makes it hard for developers to get creative with new video gaming concepts. Video gaming studios know full well that it’s easier to profit from players’ longing for retro-themed titles than it is to rip up the rulebook and start from scratch. Nostalgia is not intrinsically linked to video gaming either; it’s rife in television and entertainment such as the film industry. Fans of long-standing film franchises, television shows or even music bands are more likely to watch or buy tickets to see them perform than consider forking out on something entirely new. The unknown is always scarier than familiarity; it’s a human trait. While innovative video gaming studios and developers grapple with the challenge of bringing video gaming experiences firmly into the 21st century, the retro gaming sector will continue to shine on, recreating those childhood memories that are oh-so-dear. It’s hoped that the success of esports and the emergence of immersive virtual reality (VR) video gaming experiences will slowly take gamers to a whole new level, leaving retro titles and franchises firmly in the past.